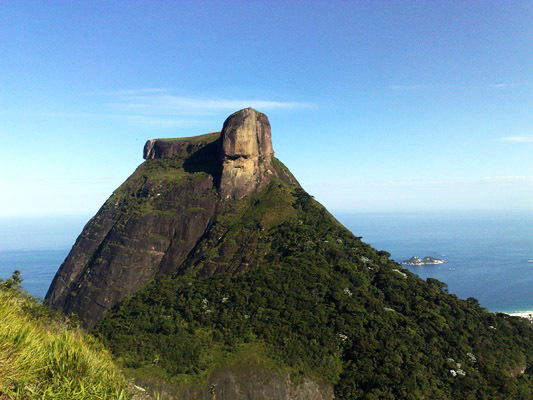 Pedra da Gávea (literally Rock of the Topsail), is a monolith rising 842 meters above sea level at the highest point, located in Floresta da Tijuca in Barra da Tijuca, Rio de Janeiro. It is the world's largest monolith on a coastline. The rock is composed of gneiss and granite, and due to its position, size and coastal location, as well as the lack of purchase for vegetation, has been heavily eroded by the elements. The damage caused to the vertical face of the rock creates the impression of a stylized human face a pareidolic simulacrum. Several alternative explanations for the appearance of the rock have been forwarded over the years, but there does not appear to be any sound archaeological basis for claims of human shaping. 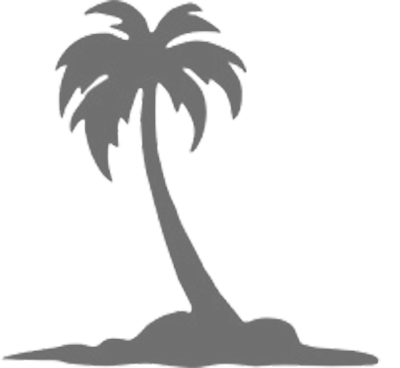 The formation is visible at sea, and is an ideal reference point for navigation.